Remember: You Red bastards asked for this – not us. All we wanted was to be left alone, to live our lives without your meddling. We’ve tolerated you long enough. We’ve tolerated your icons long enough. If you wish to leave, now is the time. Once we begin, we will not stop until you are gone. We intend to live our lives at Liberty. 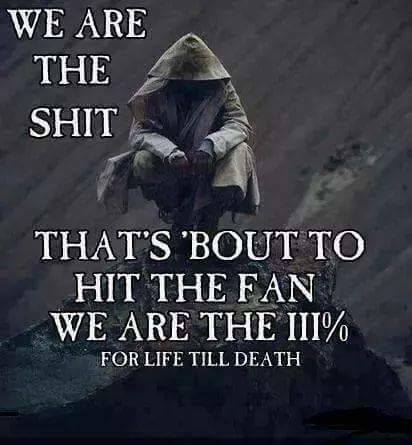 We mean that our children and grandchildren will do the same, free of your tyrannies. You should have left us alone. A former TSA agent speaks regarding the latest groping scandal. Business as usual for the federal molesters. Why does this organization exist? I accept and understand that human predators exist. Criminal or terrorist, they take advantage of our civilized society to prey upon the weak. They represent evil and must be confronted and defeated. I believe that self-defense is a moral imperative, and that illegitimate force and illegal violence must be met with righteous indignation and superior violence. I will not rely on others for the security of myself, my family and my community. I proudly proclaim that I run with a like-minded pack. I do not amble through life with the mind-numbed herd. I will train with my chosen weapons, maintain them and carry them in a condition of readiness at all times. I will be mentally prepared and physically equipped to effectively respond to an attack or emergency. I will constantly test myself against realistic standards to discover my strengths and weaknesses. I will turn weakness into strength. I will seek to learn new skills and techniques, and then teach what I have learned to other members of the pack. Be it with firearm or blade, empty hand or blunt object, I will hit my enemies hard, fast and true. I will live a quiet and unobtrusive life, but I will develop and retain the capacity for swift and decisive violence. I recognize that I am the modern equivalent of the traditional Minuteman, and that I may be called to service at any time against heavily armed enemies. I will respond effectively. 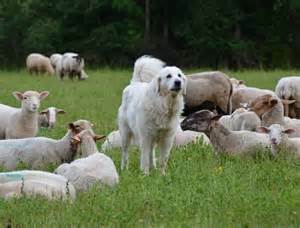 Beware – I am a sheepdog. I accept that I am a pariah among some of my countrymen, and a quaint anachronism to others. I will not hold their ignorance against them. I will win, or die trying. I swear this creed before God, my family and my fellow citizens. via » Podcast Episode 05-2015: How do you make money with your retreat #podcast #prepper #catholic Charles Carroll Society. Achtung! Papers serf!! The dog has signaled that you have illicit thoughts in your trunk!! Washington (CNN) They’re carrying out sporadic terror attacks on police, have threatened attacks on government buildings and reject government authority. A new intelligence assessment, circulated by the Department of Homeland Security earlier this month and reviewed by CNN, focuses on the domestic terror threat from right-wing sovereign citizen extremists, and comes as the Obama administration holds a White House conference to focus efforts to fight violent extremism. There were 24 attacks by the dangerous right-wingers in the US in the last 4 years? There were 24 violent attacks on black folks by other black folks in Camden NJ last fricken week! Go here for the rest of the nauseating, fascistic fear-mongering, thought control and propaganda if you so choose. I myself will be cleaning guns and shopping for lengths of gas pipe. go here and read, via LewRockwell.com. …. The ability to travel in the United States is about to become more restrictive as the TSA announces it will soon be enforcing new identification standards in American airports. Beginning in 2016, passengers attempting to pass through a federal TSA checkpoint will be subject to the requirements of the REAL ID Act. To that end, the TSA will put higher scrutiny on travelers’ identities, and will only accept a federal passport or a “REAL-ID” card, which is issued by the states to meet federal requirements. 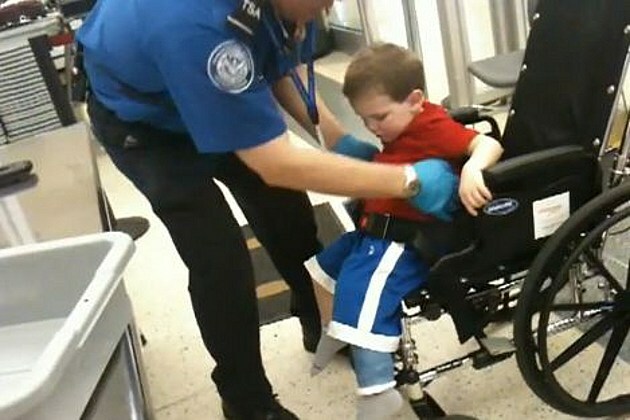 Passengers will not be allowed to fly through an American airport without submitting to the advanced federal specifications. Both federal passports and REAL-ID cards require a number of unique personal identifiers to be stored together in government databases, including his or her full name, date of birth, Social Security Number, scanned signature, and other identifiers. Both cards require biometric data: a front-facing digital photograph of the passenger’s face, which is ultimately used with a facial recognition database. ORIGIN OF ‘REAL ID’ – The enhanced security measures stem from the passage of the REAL ID Act of 2005, a U.S. law enacted by President Bush that states that a Federal agency may not accept state-issued identification cards without complying with a number of enhanced standards of the REAL ID Act. The states were given a number of years to comply, and many moved to pass their own laws to meet the benchmarks of the REAL ID Act. Due to some sluggish response, DHS extended the compliance deadline several times. Unfortunately, most states were all too willing to bend to the requirements of the federal government in order to obtain “state certifications” of compliance. To signify their compliance with the federal standards, many states are now issuing identity cards emblazoned with gold stars in the corner. According to the Department of Homeland Security, only Arizona, Idaho, Louisiana, Maine, Minnesota, New Hampshire, New York, and American Samoa have not met REAL ID standards as of January 2015. By DHS estimates, 70%-80% of all U.S. drivers are already carrying around REAL ID cards or live in states that have received extensions for compliance. Some states have even gone as far as to require the applicant to present birth certificates, W-2 tax forms, bank statements, and/or pay stubs to verify one’s identity before handing out the new REAL-ID cards. Some cards have RFID chips embedded in them. Among the 39 benchmarks of the REAL ID Act, state ID cards have to be scannable with a bar code reader, and the states are required to share access to an electronic database with all other states. Once DHS begins enforcing the REAL ID standards, Americans without a compliant state ID will be effectively prohibited from flying at a commercial airport. Passengers would need to obtain passports even to fly on planes that never leave the United States. THE ILLUSION OF SECURITY go here–> Police State USA.